"The room is very spacious and clean." Have a question for Wiangwalee Hotel? "This hotel is old but the staff is very friendly, the room is big and free mini bar"
"Try the food at the hotel as well, super reasonable price." "The staff is very friend and helpful." 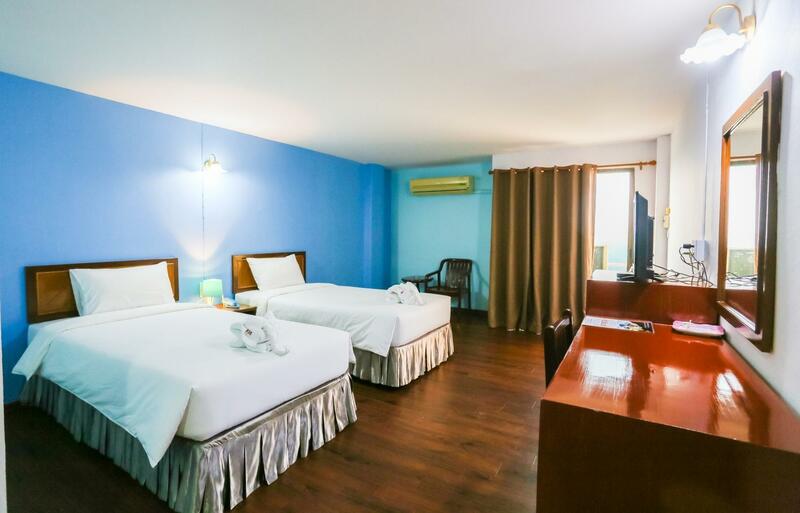 Renovated in 2016, Wiangwalee Hotel guarantees guests a pleasant stay whether in Rayong for business or pleasure. The excitement of the city center is only 2 km away. With its convenient location, the property offers easy access to the city's must-see destinations. At Wiangwalee Hotel, the excellent service and superior facilities make for an unforgettable stay. To name a few of the property's facilities, there are free Wi-Fi in all rooms, 24-hour security, convenience store, daily housekeeping, postal service. The property's accommodations have been carefully appointed to the highest degree of comfort and convenience. 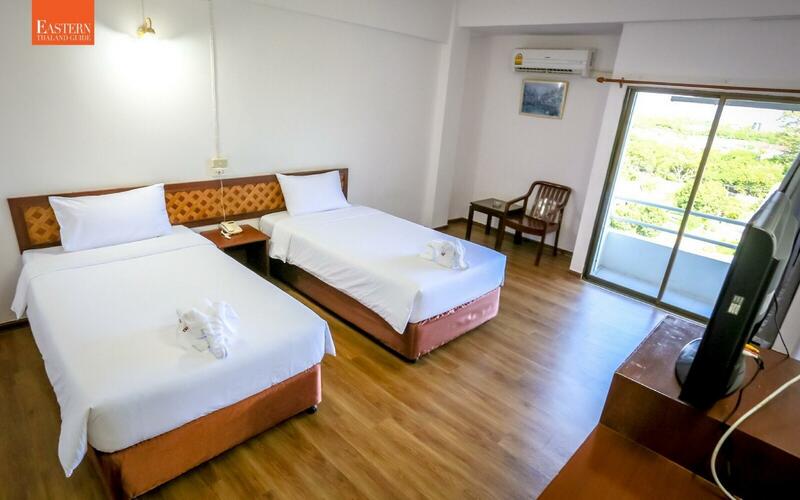 In some of the rooms, guests can find flat screen television, cleaning products, clothes rack, linens, mirror. Throughout the day, you can enjoy the relaxing atmosphere of the massage, table tennis. Enjoy a great location and services to match at Wiangwalee Hotel. Breakfast for children costs THB 130. This place feels more like an apartment complex than a hotel. I liked the setting on the quiet side of Sukhumvit Road not far from the beach. The room is generous in size, simple, but complete. Good air-con, new flat-screen TV, small fridge and good WiFi. The staff are friendly, there is breakfast on site if you want to order it. Also has other facilities because it is an apartment such as laundry, salon etc. For the money, this is very good value. I liked this place. Its a bit far from the city centre. The room is very spacious and clean. There isn't a restaurant onsite. They provide milo, ovaltine, tea and coffee free. Good overall. Everything was up to standard. The hotel lives to the expectation and as advertised. Recommend for travellers. Deal is so cheap that I just choose the hotel. But the hotel itself is amazing. The staff is very friend and helpful. Try the food at the hotel as well, super reasonable price. We tried to stay out of the trouble from Songkran Festival and Wiangwalee Hotel was the right choice. Not direct at the Beach, but easy to get there. Restaurants only a few hundred meters away from the Hotel, including a German Restaurant. The staff is friendly. This place is worth to spend your money on. Its price is at a comfortable range and its location is perfect. You can travel to the shopping malls or even go to the sea within few minutes. The staffs are also nice and friendly. However, the wifi in the room should be better. Had a lovely stay with my girlfriend and the staffs are very nice and welcoming. The building is quite old but the room is nice and clean. Would definitely come back!